Tropical storm Gordon whipped the southern tip of Florida with high winds and rain on Monday and was expected to strengthen into a hurricane by the time it makes landfall along the central U.S. Gulf Coast on Tuesday, the National Hurricane Centre said. The storm was forecast to make landfall late on Tuesday near the border between Louisiana and Mississippi while dropping as much as 20 centimetres of rain in some areas of the U.S. South still reeling from hurricanes a year ago. Gordon was generating winds of 80 km/h on Monday as it steamed west-northwest at 27 km/h, the National Hurricane Centre said. A hurricane warning is in effect for the area stretching from the mouth of the Pearl River in Mississippi to the Alabama-Florida border. The NHC said the storm is also expected to bring "life-threatening" storm surges to portions of the central Gulf Coast. A storm surge warning has been issued for the area stretching from Shell Beach, La., to Dauphin Island, Ala. The warning means there is danger of life-threatening inundation. The region could see waters rising from 0.9 to 1.5 metres. "The deepest water will occur along the immediate coast near and to the east of the landfall location, where the surge will be accompanied by large waves," the NHC said. New Orleans Mayor LaToya Cantrell said the city has "the pumps and the power" needed to protect residents from Gordon. However, authorities issued a voluntary evacuation order for homes outside the levee protection system, including the Venetian Isles, Lake Saint Catherine and Irish Bayou areas. Louisiana Gov. John Bel Edwards declared a state of emergency telling a news conference that 200 National Guard troops will be deployed to southeastern Louisiana. Edwards said much of southeastern Louisiana could see 10 to 15 centimetres of rain. As the storm crossed Florida's southern tip on Monday morning, officials closed the beaches in Miami-Dade County and warned of possible street flooding. By Monday afternoon the storm had passed over the state. There were no reports of any injuries or deaths or any damages to buildings, said Alberto Moscoso, a spokesman for the Florida Division of Emergency Management. Last year, powerful hurricanes walloped Texas, Florida and Puerto Rico, causing thousands of deaths, hundreds of billions of dollars worth of damage, massive power outages and devastation to hundreds of thousands of structures. 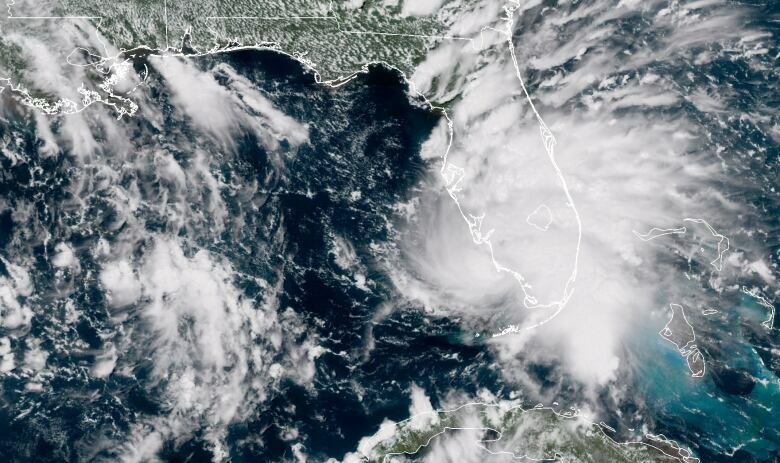 Gordon was expected to strengthen over the Gulf of Mexico to nearly hurricane-level winds before making landfall late on Tuesday, the National Hurricane Center said. At the mouth of the Mississippi River, around the area of New Orleans, the storm could generate a surge of up to 1.2 metres and smaller surges could hit coast land along other parts of the Gulf Coast, Graham said. No oil refinery production has been shut in the Gulf due to the storm, but plants were securing loose items to prevent damage from the winds. The U.S. Coast Guard also warned that the ports of New Orleans as well as Gulfport and Pascagoula, Miss., may have to close within 48 hours when gale force winds from Gordon are expected to arrive.